Be sure to start the process in your Chrome browsers. It just makes things a little easier later on. 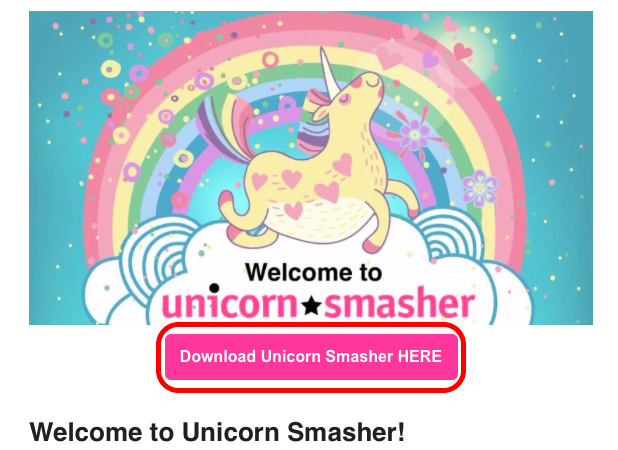 From the website click on the 'GET UNICORN SMASHER' button. Enter your Name and Email into the popup window. Click 'SEND ME THE DOWNLOAD'. Click on 'Yes, subscribe me to this list'. A new window will appear to confirm the subscription. Close this window and return to your inbox. Open the new email from us. 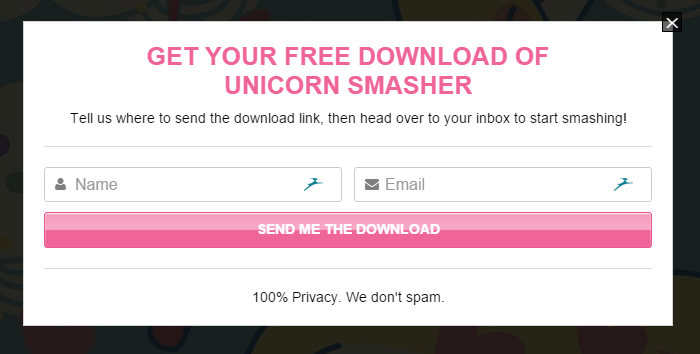 Click on the 'Download Unicorn Smasher HERE' button. The Chrome Web Store will open in a new window. Click on the 'ADD TO CHROME' button. NOTE: Be sure you are in your Chrome browser and that you're not running an old version of Chrome. If not you can't add the extension! Click 'Add extension' from the popup window. The extension will automatically install and a new icon will appear on your browser menu ribbon. Click on the 'x' to close this popup window. The extension will now appear in the Chrome Extension window. If the extensions icon doesn't appear please click 'Enable' from the Chrome Extensions window.